A toothache can be a source of great discomfort. However, it can also morph into an abscess; an issue that delivers things far worse than pain due to temperature-related sensitivity or chewing. If left untreated, an abscess can lead to a wide range of nasty ailments such as infection of the jawbone, teeth, and oral tissues. In some cases, an untreated abscess can lead to hospitalization and even death. Because of this, it’s imperative that you deal with nipping the issue in the bud if an abscessed tooth is even mildly suspected. An abscessed tooth is essentially a tooth infection caused by the formation of a pus pocket at a tooth’s root. It can be caused by several things, such as tooth decay, a crack in the tooth, or periodontal disease. These various causes provide a gateway of sorts to enable bacteria to enter the tooth’s pulp (that is, the soft tissue within a tooth that contains tissues, blood vessels, and nerves). The bacteria form the abscess as it causes the pulp to die. How Do I Know if I Have an Abscess? The signs of an abscessed tooth can be much more advanced than the average toothache. You’ll experience expected symptoms like pain and swelling, but you’ll also notice other issues such as redness in the gums or a consistent bad taste in the mouth. Sometimes, an open draining sore may develop on the side of the gum. You may also experience other symptoms that you may not readily associate with oral-related issues, like fever. While some of these symptoms are obvious indicators of an abscessed tooth, some of the milder symptoms present in an abscessed tooth’s early stages can be easily mistaken for a toothache. Because of this, it’s important that you arrange for a dental appointment immediately to ensure that you’re not dealing with an abscess. When you arrive at your dental appointment, you can expect to undergo a battery of stress tests to determine if you have an abscess. These tests typically include biting down, clenching your teeth tightly, or getting the tooth in question tapped by a probing instrument. A few x-rays may also be taken to look for other signs like bone erosion. The first course of action typically involves the dentist cutting into the abscess to allow the pus pocket to drain out. After the cut is drained and washed with saline solution, a root canal will usually be performed in an effort to preserve the tooth. This process removes the diseased pulp, cleans out the rest of the pus, and finally fills and seals the pulp chamber and root canals. It may then be capped with a crown for greater reinforcement. 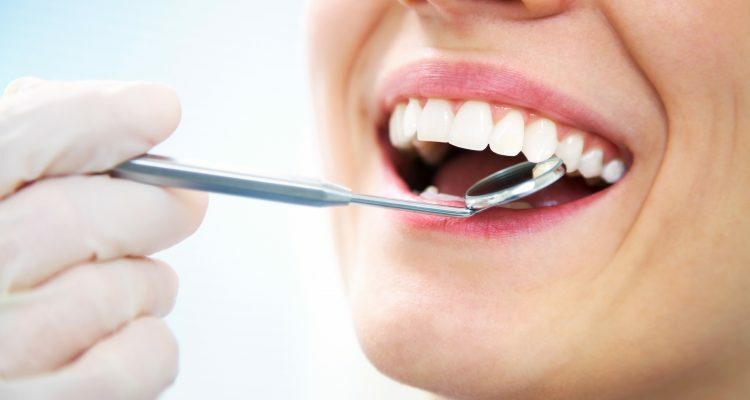 If the tooth is determined to be beyond repair, your dentist will perform a tooth extraction. The aftermath of this procedure may include additional abscess draining to rid the area of infection. You may also be prescribed antibiotics if the issue spreads beyond one tooth. Don’t Hesitate – Act Swiftly! The most vital thing you can do when you think you have an abscess is to take care of it as efficiently as possible. If you don’t, you could run the risk of putting your oral health – and in some cases, your overall health – into some serious jeopardy. While arranging for an afternoon trip to the dentist may not be your idea of a good time, it beats the threat of potentially spending time in the hospital.